If you want to know why Hollywood keeps doing remakes and sequels and reboots and so on, here is a quick anecdote. I’ve been producing movies for 10 years at a variety of budgets. Almost all original. Most of them were well reviewed and liked by audiences. BLAIR WITCH was made for around the same budget as most of these movies. But the attention on this release is VASTLY higher than any of them. This is a movie that has no movie stars (just great actors) and literally the same writer and director as some of our other movies. 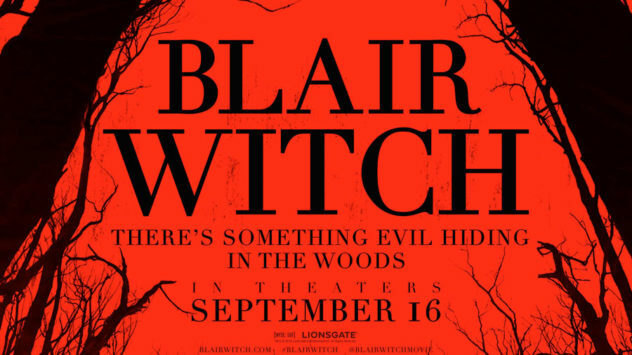 The big difference is the BLAIR WITCH name and brand. It feels like riding a sled downhill instead of pushing a boulder uphill. The only reason I have the opportunity and skills to ride this sled downhill is because of the boulder-pushing over the last 10 years. Now don’t get me wrong. I’m going to keep making original movies. But I sure as hell am also going to try to do more movies based on big IP. With reaction-videos for the Blair Witch ’16 trailer already flooding YouTube, it’s easy to see why Keith describes the experience as a sled rocketing downhill as opposed to an uphill battle; and honestly, in my opinion, if having more films greenlit and based around existing IPs means that we get more creative teams of people making movies at this big of a scale, I’m not all that opposed to it. What do you think? Weigh in on the comments below! The New Trailer For HBO's Westworld Is Here! Sam Mendes & Nick Hornby In Talks For Live Action "James & The Giant Peach"